Finland is leading the charts in areas such as technological innovation, standard of living and access to education. However, according to the latest Environmental Performance Index for the protection of biodiversity and natural habitats, Finland remains in the 39th position, far behind countries such as Germany, Spain, France or Britain. The national and European Parliamentary elections are at the doorstep. Therefore, authorities from the Finnish Ministry of Agriculture and Forestry are working on updating their controversial 2015 wolf management plan. With group sessions between civil servants and relevant stakeholders they try to find common ground to build a future of coexistence with wolves. The European Commission recently announced full financial support in all Member States to invest in protective measures and damages caused by large carnivores. Furthermore, scientific research stresses the counter-productive effects of lethal management of large carnivores.It seems the conditions are set for finding new ways for humans to learn how to live alongside of wolves. Unlike other European countries, livestock predation outside the free-range reindeer herding area of Lapland is a minor problem in Finland. Instead, it is a lack of tolerance what continues to keep its wolf population listed as an endangered species. During their previous wolf management plan launched in 2015, Finnish authorities decided to set annual culling quotas. This was done under the assumption that it would increase tolerance and reduce illegal killings. However, by the end of the three-year trial period, the legal wolf hunting permits granted all across the country resulted in the indiscriminate killings of breeding adults. This resulted in the breaking up of the few stable wolf packs, thus creating more problems than they solved. Finnish wolf population numbers have been critically low and stagnant for more than two decades. Authorities therefore are trying this time to take on board all the hard-learned lessons from the previous management experiences. It would allow Finland to move towards a sustainable and favourable conservation status for wolves. Yet, it has now become evident that as long as authorities continue to consider a “license to kill” the first and foremost management tool for solving conflicts with wolves, social acceptance will not be gained and preventive alternatives will not become fully implemented. Research analyzing wolf hunting permits granted by Finnish hunting authorities during the period of 2016-2017 showed that people used social reasons such as “fear” as the main motive for requesting wolf hunting permits (PDF). Rural residents may have become aware that the economic damages are often not big enough to justify the killing. Therefore, the use (socially-acceptable) subjective experiences and feelings in southern Finland for requesting the shooting permits. The reasoning being that when people see a wolf moving near rural residential areas or visiting people’s yards during the night they consider the wolf’s behaviour as “bold”, “fearless” or “habituated to humans”. It seems that the prevailing notion of wolves being animals only of the wilderness has to change in order for coexistence to become possible. Wolves play a crucial role for the health of our ecosystems. People should focus on livestock herding traditionsand modern technology to work together. That way, humans and wolves can learn again to coexist. Numerous EU-funded conservation projects and studies nowadays show that killing is not the solution. For example, by implementing preventive practices such as electric fencing, GPS radio collaring, livestock guardian dogsand shepherds. As a result, the focus shifts from killing wolves to avoiding conflicts with them in the first place (PDF). Unfortunately, people have used GPS radio collaring of wolves in Finland to track and illegally kill wolves. The question is, will a leading country in technological innovation such as Finland continue to use outdated wildlife management notions? Or will it finally listen to science and create the conditions for coexistence between humans and wolves? 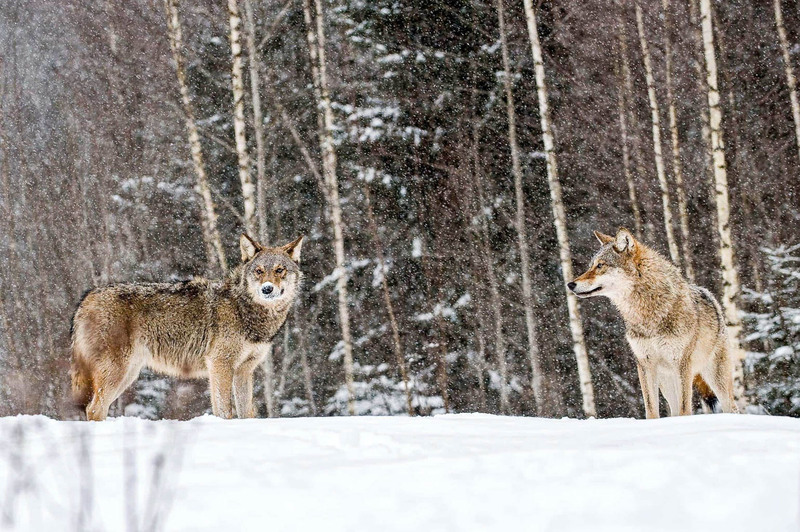 This article has been jointly published with The Wolf Action Group in Finland.